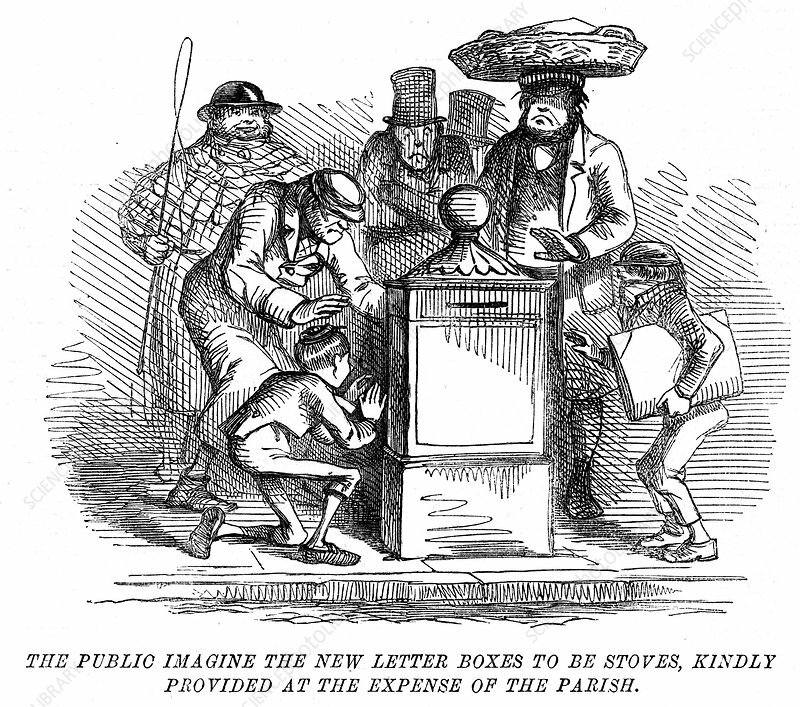 New letter boxes being mistaken for heating stoves!, 1855. One of London's first pillar (letter) boxes was erected by the Post Office at the corner of Fleet Street and Farringdon Street. Cartoon from Punch. March 1855).